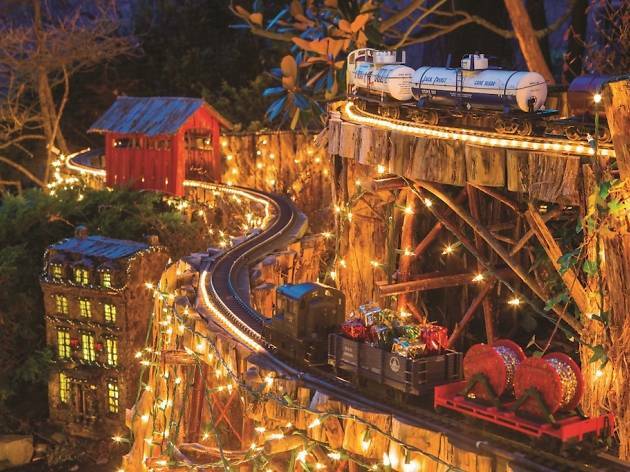 Chestnut Hill horticultural haven Morris Arboretum decorates its adorable quarter-mile-long mini railway for the holidays, adorning the tiny village with tinsel and miniature wreaths and Christmas trees. 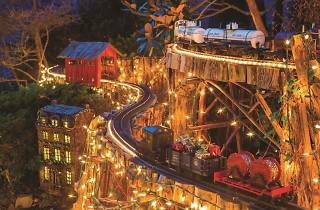 It’s open after dark every Friday in December, when you can grab a cup of hot cocoa from the onsite Compton Café and watch the train putter around the track with all the twinkling lights aglow. On select nights, caroloers stop by to add some holiday tunes to the cutesy experience.